But doesn’t divination have to do with stuff like crystal balls and summoning spells? Well, yes and no. Many believe in the divine and magical properties of self-divination. But we recommend using it as a physical means to further understand the universe around you. And self-divination takes that concept and focuses it inwards. Needless to say, crystal balls have been around for quite some time. While some sources say that scrying (using “seeing” for divination) crystals have been found in 8,000 year-old Egyptian temples, it is commonly believed that true crystal scrying began with the Druids around 2,000 years ago. What we know today as the crystal ball really came into popularity during the 16th century. John Dee, a court magician for Queen Elizabeth I, used a “shew-stone,” about the shape and size of an egg, to give predictions and divine answers. There really is no right or wrong way to use a crystal ball. It can be made from clear glass like lead crystal, or from actual crystal like quartz or calcite. It can also be as big or as small as you like. The point is not as much the type of crystal ball, but more the experience. The experience generally involves staring into a form of crystal ball to induce a meditative, hypnotic, or even a higher spiritual trance. These deeper states of consciousness can lead to various mental images and revelations. Some have even reported seeing physical images in the crystal itself. Others observe images from the crystalline structures itself, caused by the divots and cracks of the crystal. Often, viewers will ruminate on a problem they might be having, or an area of their life that might need guidance. Keep in mind though that different crystals have different feelings associated with them because they’re made from different material. 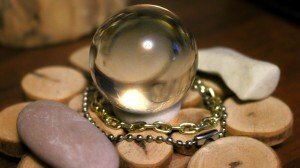 So consider that a quartz crystal ball will probably feel different than a calcite crystal ball, which will in turn feel different than an obsidian crystal ball. So if you’re interested, find the one that feels right for you! Just remember that what you see comes from you. Try not to focus on impossible answers or solutions. If you approach scrying with the right perspective, your observations will be as clear as the crystal itself. Contrary to popular belief, tarot cards have not always been known for their revealing qualities. The first known tarot cards came on the scene in the late 14th century in Northern, Italy. But when they were first introduced, they were a set of playing cards! Originally, the deck only had suit cards (we’ll talk more about those later). During the 15th century, 21 “carte da trionfi” or triumph cards were added, each with beautiful illustrations and meanings. These were later called “trump” cards. While there has been evidence of Tarot being used for divination as early as the 1500’s, it truly began its history with the publishing of Le Monde Primitif in 1781 by Antoine Court de Gebelin. Gebelin was unaware of the original card game and linked much of the Tarot to Christian concepts and ancient Egyptian mythology. While most of his associations have been since disproven, the modern, mystical tarot that we have come to know is still going strong. 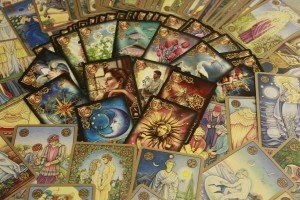 The truth is, there are many different ways that people have come to read tarot cards. So we’ll share with you our favorite methods. The tarot deck consists of 78 cards. Among these 78 are two main types of cards: the Major Arcana (trump cards) and the Minor Arcana (suit cards). As The Fool goes on a journey of self-discovery and growth, he learns a specific lesson from each of the characters/scenes in each card. These lessons can in turn reflect advice for your life. These suits generally follow the same structure as regular playing cards, starting with Ace through the number 10, and followed by a Page, Knight, Queen, and King. Like the Major Arcana, each card has a different meaning. But beyond each individual meaning of the cards, you have spreads. Spreads are the specific layout or positioning of the cards that you pull in the reading. Some prefer a traditional Celtic Cross while others prefer a simple spread that might only consist of three cards. Either way, each card has a different meaning in each position. For example, in a simple three card spread, you might have the “Past, Present, Future” positions. If you get “The Fool” (a card meaning naiveté and beginnings) in the Past spot, it could show that you’ve already started a journey that you are currently on. But if you get it in the Future spot, it could mean that you will soon begin a completely new adventure that you might be totally clueless about. It takes a little practice but Tarot can be a fascinating way to gain deeper insight into your own life and feelings. When you use it this way, it never tells you anything you don’t already know; it just clarifies what you might not be seeing. All signs point to the fact that pyromancy is probably one of the oldest forms of divination. In fact, it was considered a forbidden art in Europe, right alongside with mantic arts such as necromancy and hydromancy. But because fire has always been such a powerful source of intrigue, pyromancy has even been used all over popular culture. If you’ve seen or read Game of Thrones, you are well aware of Melisandre and her fire prophecies. Or if you’re a World of Warcraft fan, you’re familiar with their references to pyromancy. Do you love candles? Do you get a thrill at bonfires? Do you have the Game of Thrones theme song stuck in your head right now? If you answered yes to any of the above questions, then you definitely have what it takes to do pyromancy. Like Crystal Ball gazing, you could do pyromancy any number of ways. But a really common form is to use a candle. It could be scented, it could be taper, it could even be a tea candle. As long as you can light it on fire, it works. The great thing about fire is that it is naturally hypnotic. It dances and moves in a completely unpredictable way, making it entrancing. It’s not a wonder why ancients have used fire to answer some of life’s hardest questions! 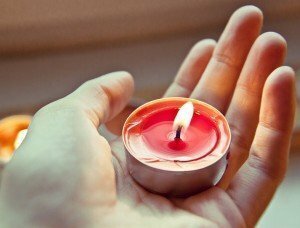 If you’re interested in trying pyromancy, find a dark and quiet spot (preferably somewhere that isn’t wet or windy…obviously) and light a candle that induces whatever feeling you’re going for. If you want to clear and calm your mind, you might like an aromatherapy candle, like sage or lavender. If you want to feel more in touch with your ancient roots, maybe you could try a cool taper candle or a rustic earthy candle. Whatever you choose, quietly meditate while staring into the flame. Enjoy the natural, uncontrollable nature of the fire. Focus on whatever you want to understand, and let the fire do the rest. Fire is equally healing and destructive. It can have a mind of it’s own, so use caution. Make sure you do this in a safe atmosphere using the necessary precautions. But whatever you see in the flames, you can be sure it will speak to you in a very personal way. 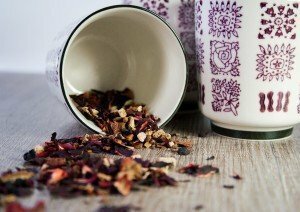 Reading tea leaves has been around since the 17th century when the Dutch brought tea to Europe from China. That being said, the concept of tasseomancy, its technical term, was used centuries before that, except they used splattered candle wax and lead chippings. In fact, tasseomancy comes from the French word for cup, tasse, and the Greek word for prophecy, manteia. Some even use special cups for tea reading that have symbols of the zodiac or playing cards to help their readings. And you don’t have to use just tea. Some use coffee grounds or even wine sediment! Tasseomancy can be fine tailored to fit your tastes (literally) and needs. Tea reading is actually quite simple. Brew a cup of your favorite tea without straining out the leaves (that part is really important). Then sit and meditate over the tea while you drink it. You can meditate on a problem that you want to solve in your life, or on the next step in a situation. Anything, really. Then, after you’ve finished drinking your tea, you “read” the patterns in the leaves at the bottom of the cup. Of course, there are plenty of books and websites that will give you interpretations on what different symbols mean. But, in a true self-divinatory spirit, it is usually more effective if you let the patterns speak to you on a more personal level. If you see a butterfly, some might say it’s a symbol of transformation and growth. But if there were always butterflies in the backyard where you grew up, then it might point to a sense of nostalgia and innocence. Use your instincts to let the leaves really speak to you. It’s not only a pleasant meditative experience (with a great cup of tea) but you get to focus on symbols that mean something to you. And as always, let your own intuition guide you. What we understand as rune casting has not always been the primary use for runes. 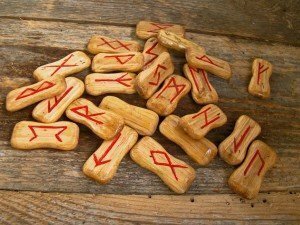 So what were runes? Well, they were an alphabet. That’s right, runes were letters in the Germanic alphabet before the Latin alphabet came along. In fact, using runes for divination has only been around since about the 17th century. At that time, Johannes Bureus developed a system for runic reading using the Kaballah and the Futhark writing system. He called this Adulruna. But the practice of rune casting we know today really stems back to only 1982. Ralph Blum published a book called The Book of Runes: A Handbook for the Use of an Ancient Oracle. This book pretty much outlined how we use runes today. That being said, there is possible evidence of runes being used for magical purposes long before the 17th century. Even as far back as the 1st century AD, Tacitus, the Germanic historian, recounts the use of “signs” for divination and magic. These signs could be referring to runes. Here’s the thing: runes are old. Even though their use as a divination tool is rather new in context, the alphabet itself has been around for ages. So there are a lot of different interpretations as to how they should be used. Let’s focus on the Elder Futhark Runes as those are the most common and popular runes in use. And obviously, each rune has a different meaning, from wealth to strength. Some say it represents destiny or an unknown fate. Others, however, claim it is merely a stone that is there to replace any lost runes and should never be used in rune casting. Now, you might have seen a pattern in our interpretation of self-divination methods: find the way that works for you. If you feel right using the 25th stone, go for it! You can draw a rune in answer to a question. You can empty the bag of runes and take the face-up stones as your answer. You can even lay them out and use your intuition to find the stones for your reading. However you choose to read runes, let it come from you, and your desire to understand yourself better. Whichever method of self-divination you choose, have fun with it. Self-divination can be a mysterious and exciting way to take a deeper look at your own journey. When you use your own intuition and a willingness to understand yourself, self-divination can be an amazing and powerful guide. Now you hold all the cards. You just have to read them.